Even the common foot soldier had their head to think about, and this 15th Century Gothic Gorget echoes the design of the armour that the lower ranks would have favored, showcasing an unadorned style that was still extremely effective in battle. 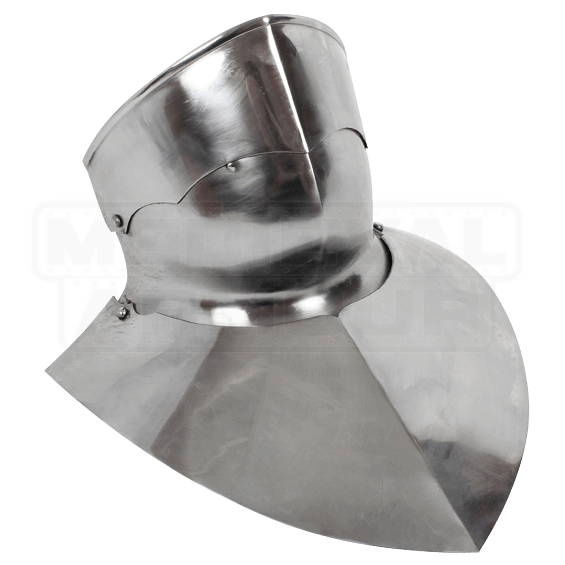 Technically, this particular item is a gorget and bevor combination, featuring a rotating bevor that protects the wearers chin and jaw attached to a gorget that gives steel-plated defense for the wearers collar and neck. Straight lines lend this armour piece a clean, traditional look, making it suitable for foot soldiers, armoured knights, and warlords of all sorts. 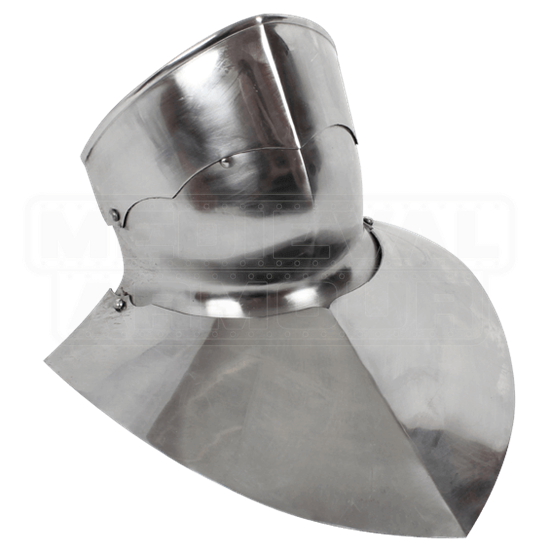 This historical gorget is crafted entirely of 14 gauge steel, which ensures its hardiness and makes it perfect for use in reenactment battles of all sorts. It is worn independently and comes with leather straps and buckles to secure it around the neck. If you want good protection that will help you keep your head on your shoulders, look no further than this piece of medieval neck armour.